Apps that provide convenient services have become part and parcel of modern life. From ride sharing to finding a date, there’s an app for almost every need and concern. Enter honestbee – if you think all it does is just shop your groceries for you, then you’re wrong. From online to offline, Asia’s leading marketplace that delivers quality food products and experiences, unveils their latest offering: habitat by honestbee – the world’s first tech-integrated multi-sensory grocery and dining destination of its kind. 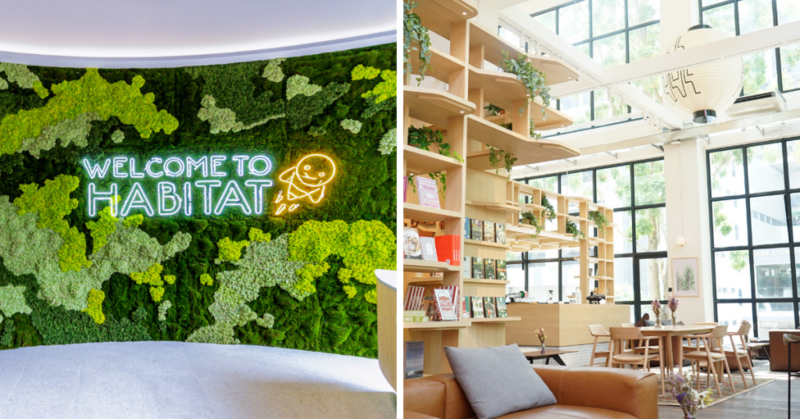 habitat marks honestbee’s first foray into brick and mortar: its a supermarket, restaurant and retail innovation lab all in one. 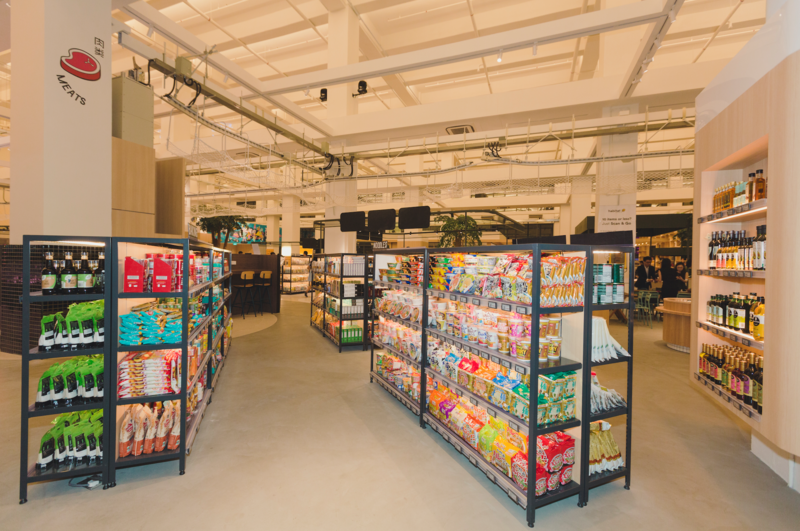 Occupying a 60,000 square feet space in an industrial building in Pasir Panjang, habitat comprises a full supermarket stocked with over 20,000 curated Asian and international produce and essentials. You can also expect a dining area featuring 15 unique food and beverage concepts – from grain bowls and grilled wagyu meats to Japanese soufflé pancakes and homemade kombucha, there’s something for everyone here. 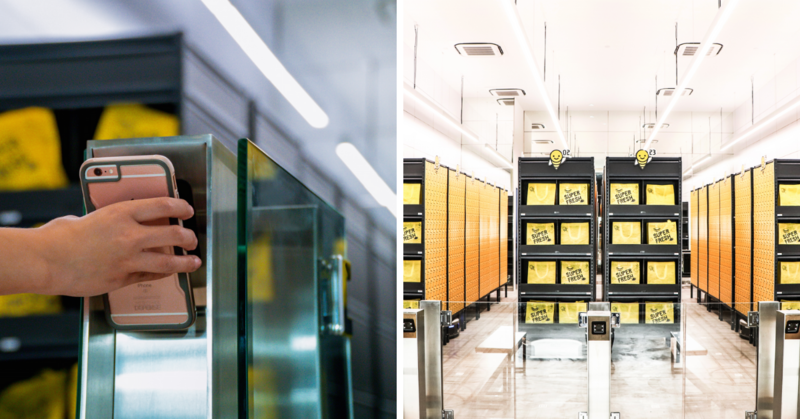 habitat is honestbee brought to life. It is a cashless space that ensures your experience is fuss-free, all you have to do is come equipped with the honestbee app. Here’s a sneak peek of what you can expect at this one of a kind tech-enabled multi-sensory, grocery and dining experience. Possibly our favourite spot in this place, Shufu is a little reading corner at habitat. With high ceilings and plenty of natural light shining into the space, Shufu is a good vantage point for all the excitement at habitat. Shufu also overlooks lush greenery – perfect for cosying up with a good read and a cuppa. Shoppers can pick from an array of exclusively curated books and periodicals revolving around food, design, chefs and local literature. The trio behind Bear Bear Fresh, Roger Wong, Chen Wei Nan and Christopher Chan believe in all things local, especially seafood from Singapore’s very own shores. With a network of local fishermen casting the net in our backyard, the fish that comes to habitat are locally sourced and completely fresh. You can also find oysters, lobsters and alaskan king crabs. 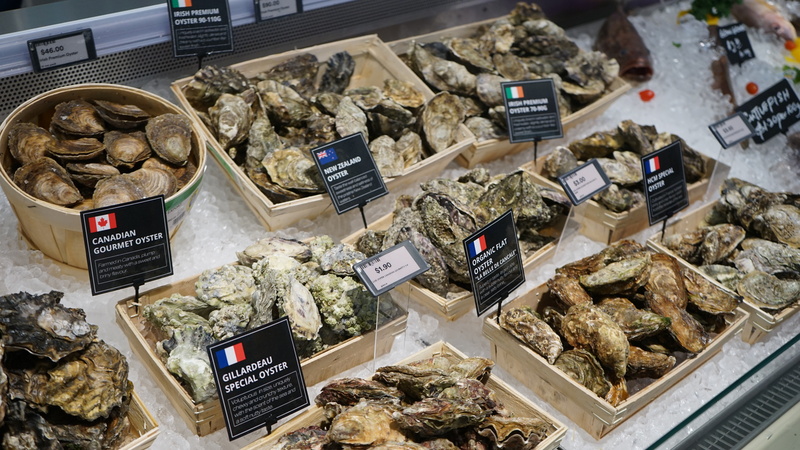 You can also buy your oysters and get them chucked on the spot so you can eat it while it’s fresh. Browse and select from a wide variety of premium cuts of meat. Customers have the freedom to choose the amount, types of cut and number of years aged – all straight from the butcher. 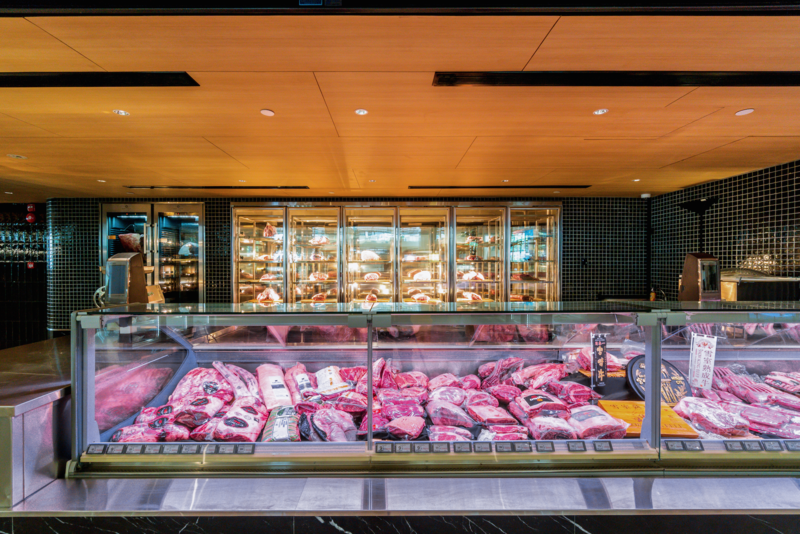 If you love your meats, some of the interesting selections include snow-aged beef from Niigata and Mayura station beef, where the cows are fed with chocolates. A tribute to the level of artistry of the floral works in Japan, Hanaya (also known as “florist” in Japanese) is habitat’s very own florist. 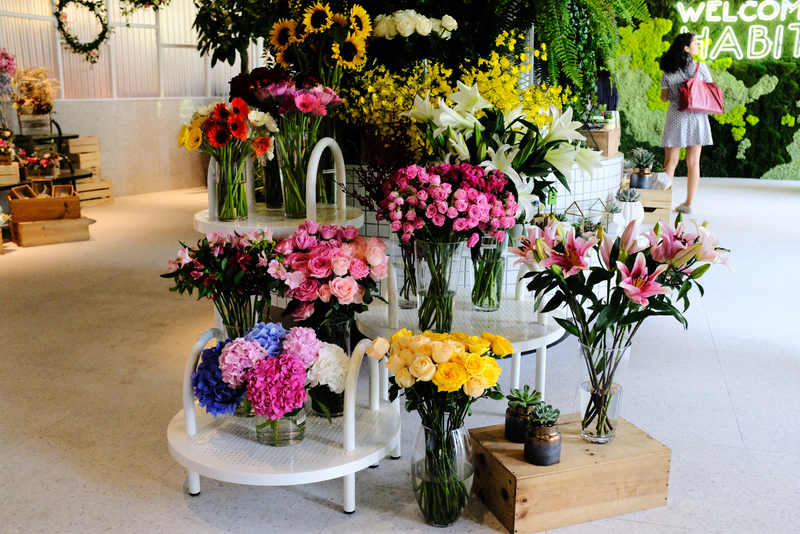 At Hanaya, you are invited to embrace the scent of fresh blooms and even learn to arrange a bouquet. With something for every type of foodie, dine fresh in over 15 F&B concepts. Here’s what we tried and loved! 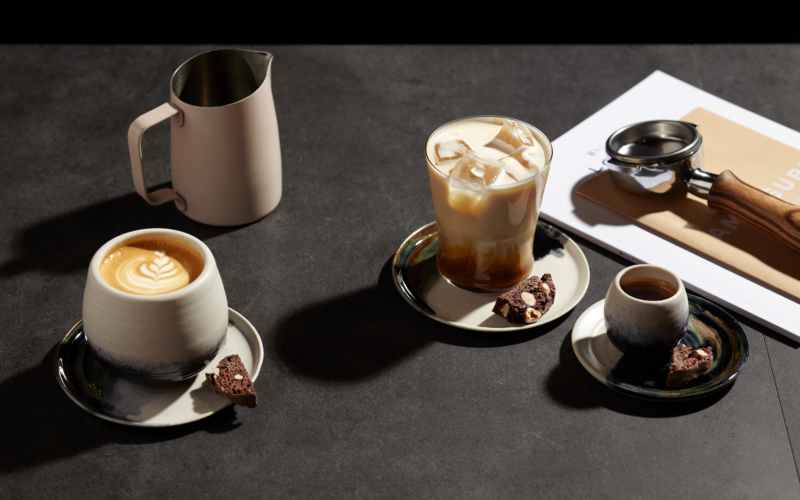 White or black, single origin or house blend – each and every cup of coffee from hinoki embodies understated elegance, like the Japanese cypress tree it’s named after. The hinoki blend comprises of coffee beans that are sourced around the world and roasted in Kyoto. Japanese fresh milk is used in all white coffees. 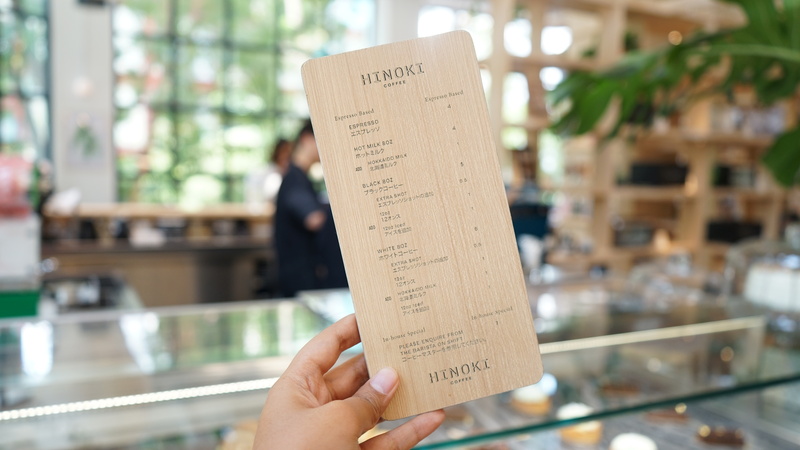 hinoki also offers tasting and latte art classes, where you get to choose and try new beans and even taste coffee in its most authentic forms. hinoki is also situated right next to Shufu so guests can head over to the cosy space after ordering their coffee and cakes. 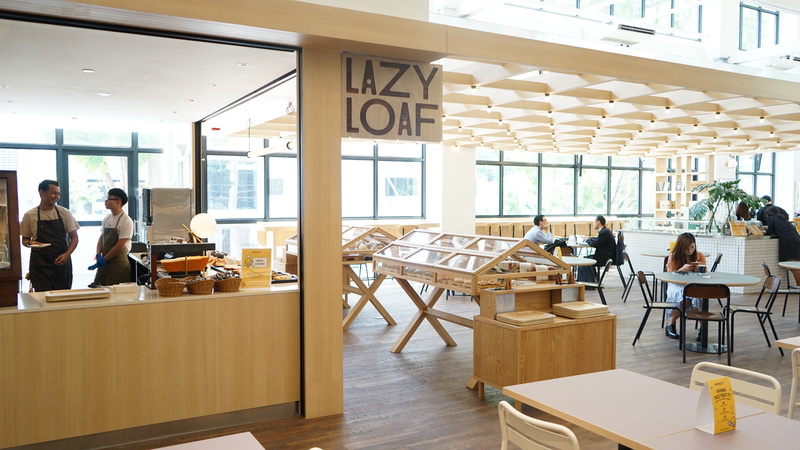 Lazy Loaf is the go-to place for rustic loaves, Asian-sourced flours and spreads. With a repertoire of homemade spreads that have been perfected through generations of bakers, we highly recommend chef John Tan’s homemade kaya – a recipe that can be traced from his grandmother. This bakery lets you call the shots. Choose a bread, select a toaster, and dress up your toast. Many of their loaves and breads are lovingly baked in-house and exclusive to habitat, putting a spotlight on premium ingredients and flours. Reflective of the great outdoors – Campfire is perfect for warm meals shared with friends and family. You can buy the meats fresh from the butchery and drop them off at the Campfire and have the chefs prepare it right after. Featuring both grass-fed and grain-fed beef as well as quality cuts from Tajima Wagyu and Black Angus cows, Campfire’s mains are complemented by sides which are stars in their own right. Set lunches are at a steal for as low as $12.90 – perfect for the corporate crowd. At Poofy, pancakes are the star. Japanese soufflé pancakes to be specific. 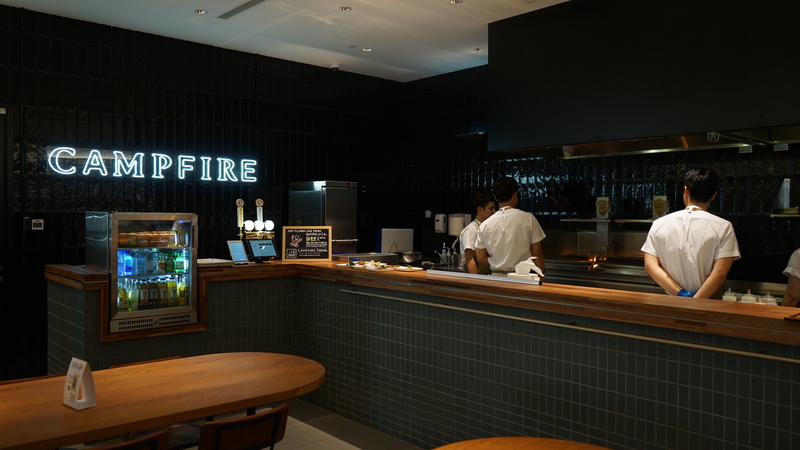 If you’ve patiently queued at Japanese pancake specialist Riz Labo Kitchen’s pop-up shop at Wisma Atria’s Japan Food Town for its soufflé pancakes, you’ll be pleased to know that they’ve partnered with honestbee to open a permanent shop at habitat. 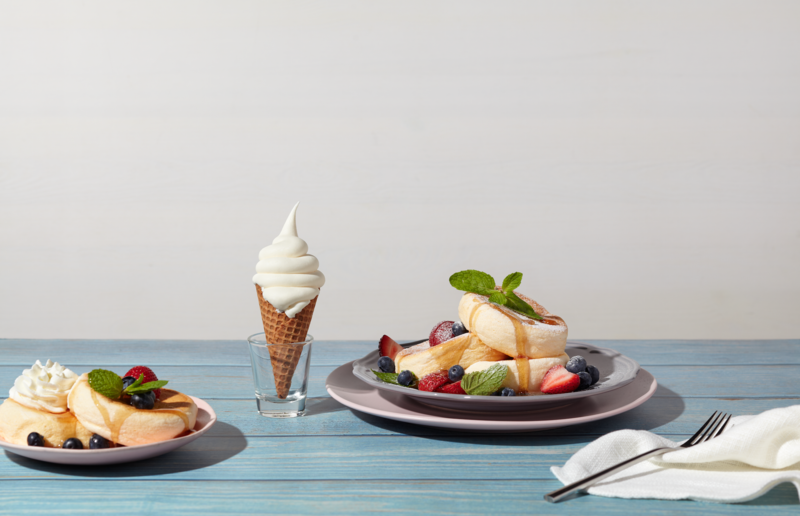 Enjoy a comforting after-meal treat of a good ol’ soufflé pancakes, just the way the Japanese do it – fluffy, light and perfect. 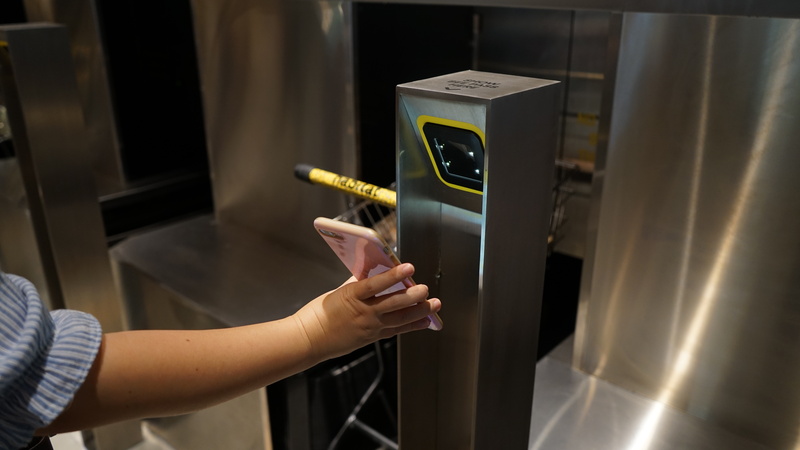 Powered by honestbee’s leading edge technology, habitat by honestbee offers two firsts in the world: a cashless checkout experience (AutoCheckout) and fully automated, robotic collection point (RoboCollect) for a seamless and fuss-free grocery shopping experience. If those two terms are completely foreign to you, trust us, it’s pretty cool. 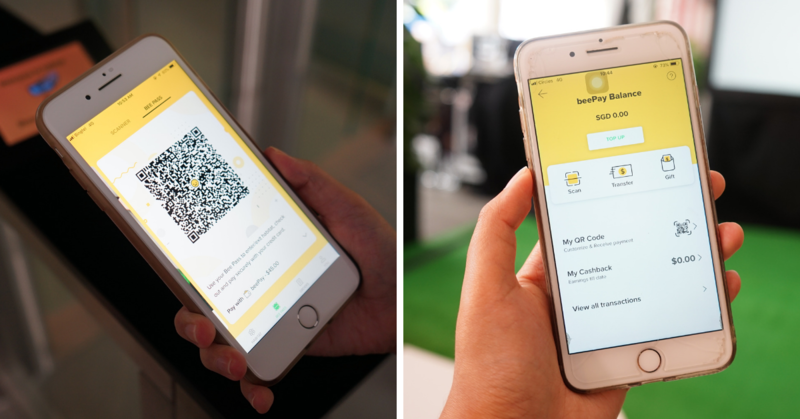 Use the Bee Pass on the honestbee app to enter the space and make cashless transactions throughout the store with beePay – honestbee’s very own digital wallet. 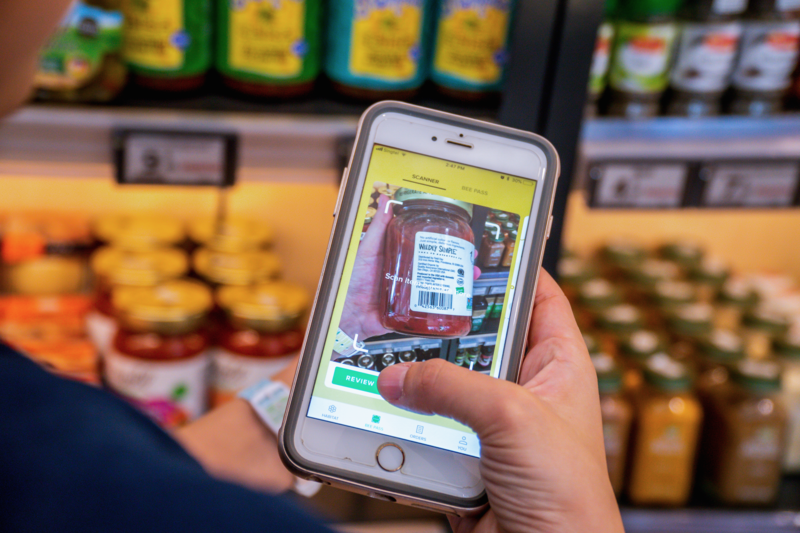 For purchases of 10 items or less, shoppers can use the “Scan & Go” function on the honestbee app, so you can skip the checkout line and get your items on the spot. No more joining long queues just to pay for a bottle of water! For more items, drop off your trolleys at the world’s first convenient AutoCheckout and habitat will take care of the scanning and packing. After paying with beePay, you’ll receive a text notifying that your bags are read for collection at the RoboCollect Stations. 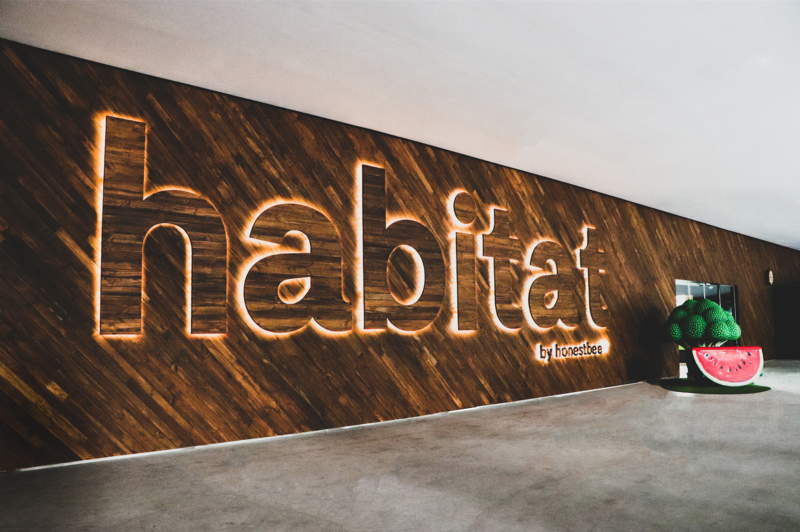 While you’re waiting for your orders to checkout and be ready for collection (orders can be processed in “as fast as 5 minutes”), head around habitat to grab a cup of coffee or enjoy a meal at one of their many F&B dining concepts. At habitat, you can see, feel, hear, smell and of course, taste food items and ingredients at their freshest. 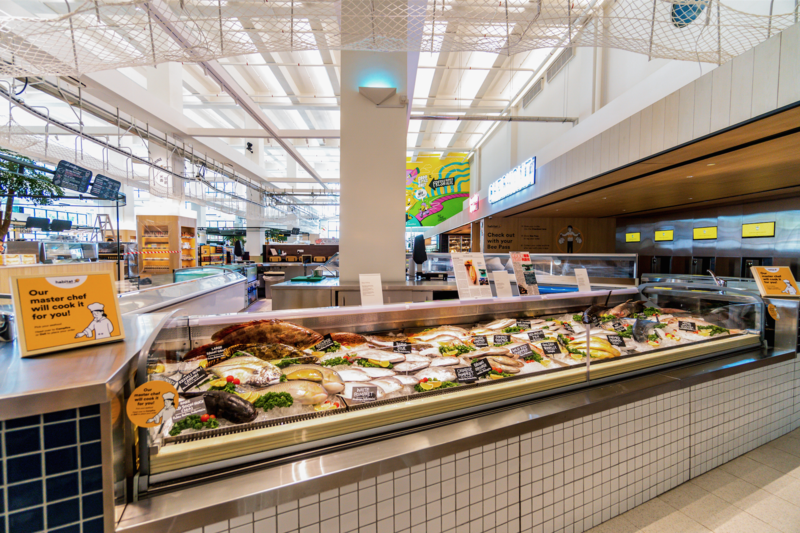 Although it is slightly out of the way, we do love the fact that this multi-sensory grocery and dining experience is truly one of a kind.